Conveniently located right off the Capital Beltway, Rosaryville State Park in Upper Marlboro, MD offers fun and challenging terrain, that is also beginner friendly. 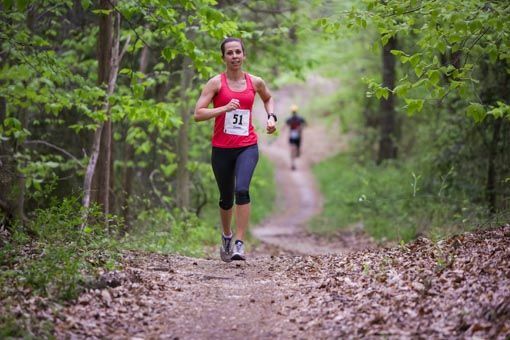 Not overly technical in nature, this race course is perfect for an early season trail running race. 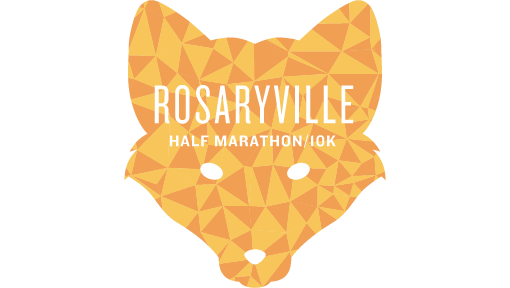 The race course at Rosaryville is beautiful and fun and winds through mixed hardwood forests and fields. The trails are twisty, relatively smooth, relatively flat and fast. The half marathon course includes the 9 mile perimeter trail, the 2 mile interior trail, and wide open horse trails. 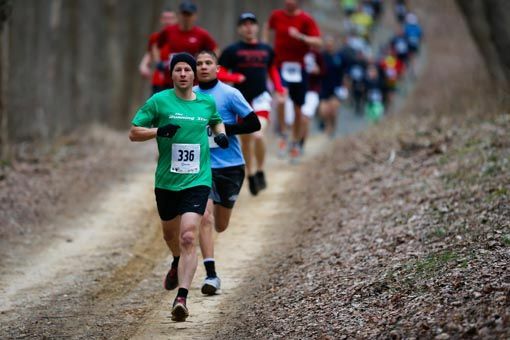 The 10K course includes 5 miles of the perimeter trail and just over one mile of wide open horse trails. 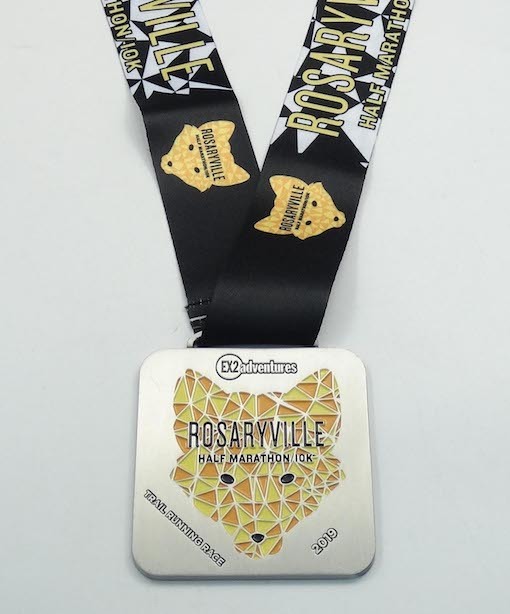 Fun and challenging course design, sweet finisher medal, professional race operations, wonderful volunteer support, awesome aid stations, medical support, plentiful post-race food (breakfast burritos and other tasty treats – yum! ), electric atmosphere, great music, awards and give-a-ways, and a race t-shirt you’ll love. Cross Woodrow Wilson Bridge on the outer loop of the Capital Beltway (I495) north to exit 11A, MD-4 South. Travel 3.1 miles then take right onto Woodyward Rd./MD-223 South. Travel .3 miles then take left onto Marlboro Pike/Osborne Rd. After .5 miles, Marlboro Pike changes to Osborne Rd. Travel 2.3 miles on Osborne Rd. to a right onto Crain Hwy/US-301 South. Travel .2 miles then take a right into the park, on West Marlton Ave.
Take the inner loop of the Capital Beltway (I495) south to exit 11A, MD-4 South. Lots of other awesome adventures!